Yes, by "layers" I really do mean just that one cardigan I'm wearing in these shots. While it has definitely started to cool down a bit here, I would say it's still not cold enough to wear anymore than a single layer. That's fine with me though, because one is better than none. Whether it's cardigans or sweaters, I absolutely love donning a cozy knit in the fall time. As for the boots, it has definitely been a while since I've featured these cozy OTK bad boys on here. Unsurprisingly, the last time I featured them was around last winter with, of course, another gray turtleneck of mine. Can you tell I'm a fan of that combination? I rocked this look in DTLA the other day and loved the urban "fall in the city" vibe that it gave off. 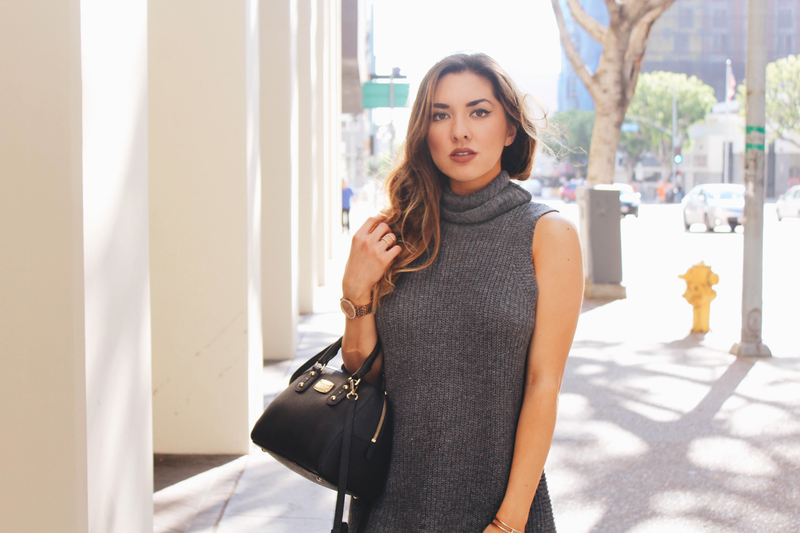 Chunky gray knits, black heeled boots and a swipe of lipstick are generally pretty good at creating that aesthetic. This outfit at first glance may look like a dress, but it's actually a velvet lace-up bodysuit paired with a black corduroy skirt. The combination is super plush and cozy and I'm actually pretty surprised at myself for not featuring either of these pieces on here sooner! This bodysuit in particular is one of my favorites - it's by Reformation and it's the second lace-up bodysuit I got from them after falling head over heels for their Avalon piece. This one featured here is made of a gorgeous black velvet fabric and is the perfect piece to rock during fall and the holidays. It was about 80 degrees on the morning that I shot this look, however, so I didn't exactly go all out with the fall fashion this time around. 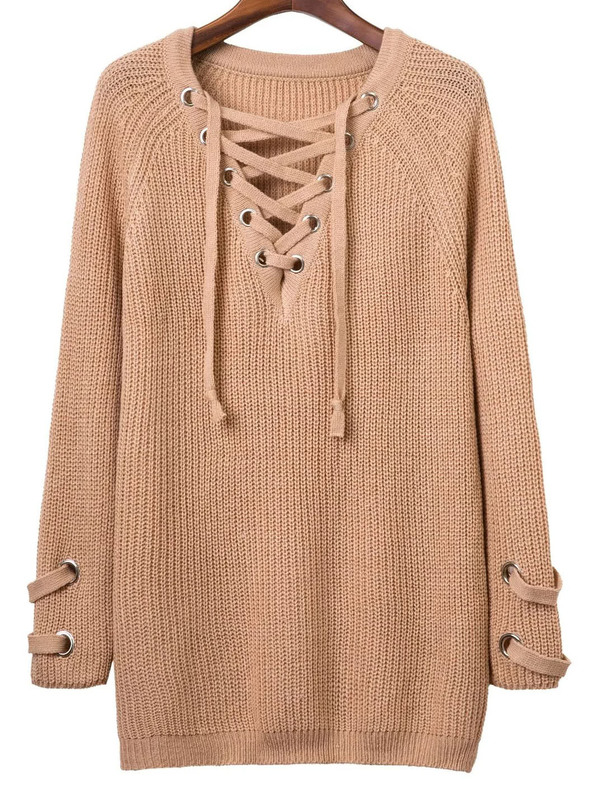 On a colder day, I would probably ditch the belt, throw on a soft knit cardigan (I just got the loveliest one from Muji) and maybe even rock some black tights as well. It seems like forever ago that I was in weather chilly enough to be this bundled up, so hopefully these next few weeks cool down a bit and bring around some much needed fall vibes. Velvet is definitely trending right now. And it makes perfect sense, seeing as the '90s resurgence is still continuing to rule the fashion world today and this fabric was, for the most part, a staple part of that decade's stye. 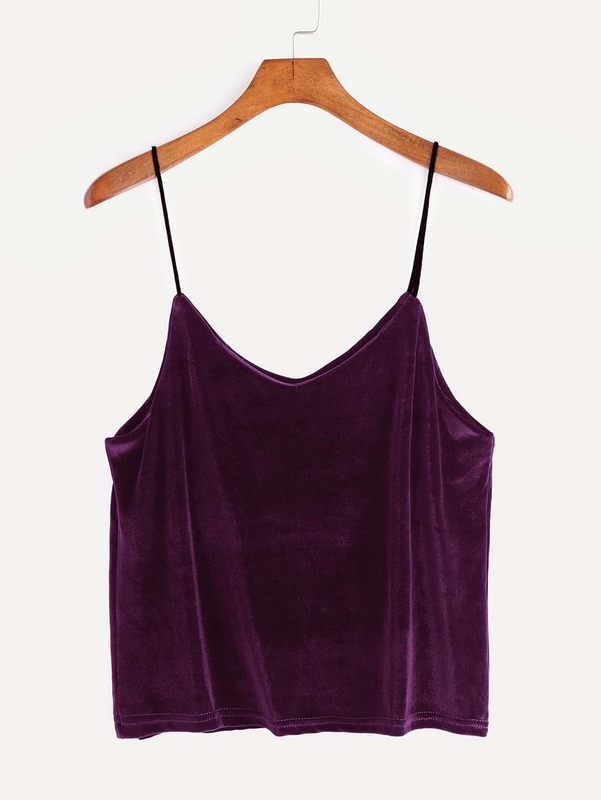 Whether it be on slip dresses, crop tops, or mini skirts, velvet seems to be just as prevalent now as it was back in the day of furbies, Boy Meets World and hit clips (remember those?!). Nostalgia aside, I consider this fabric to be incredibly cozy and perfect for the chillier fall days coming up. The same goes for corduroy - while this one in particular may have more of a '70s feel, I feel that it complements velvet in an ultrachic way. While I love myself a standard, chunky knit cardigan during this time of the year, throwing in unique textures give my outfits that same cozy, fall time feel but with a more interesting and different look. 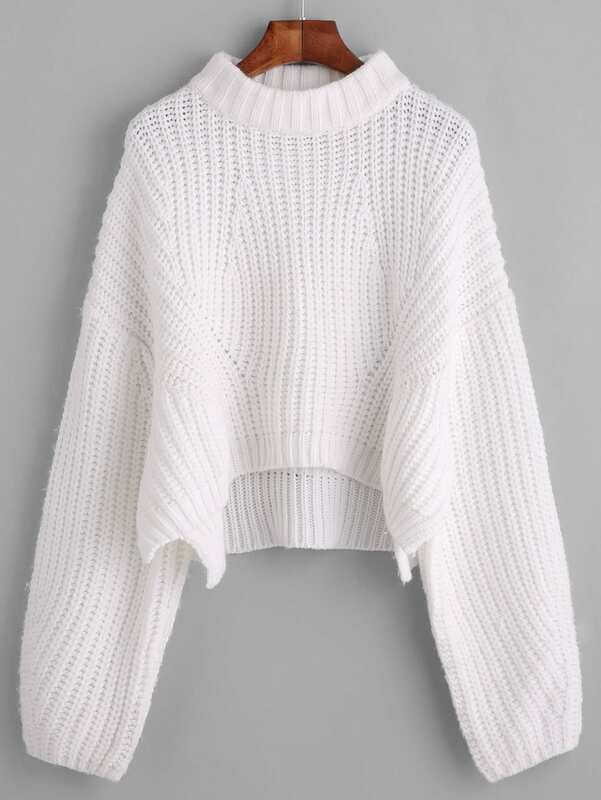 Obviously that's not to say that I won't be rocking knits this month (because you guys will see very soon that I've been stocking up on those too!) 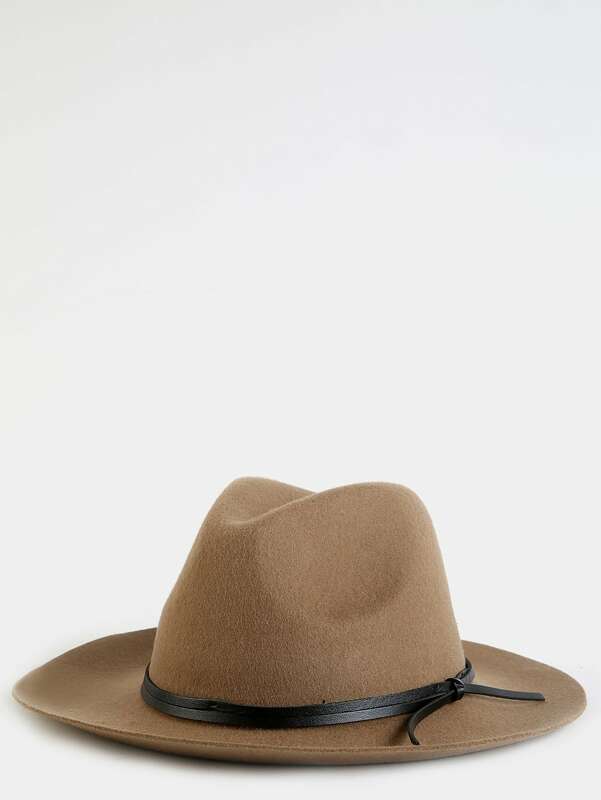 but rather, to throw in some different looks every now and then and have some diversity in your fall apparel. In conclusion, mixing different fabrics together and rocking unique textures is a great, easy way to play up your outfit and give it some stylish dimension. 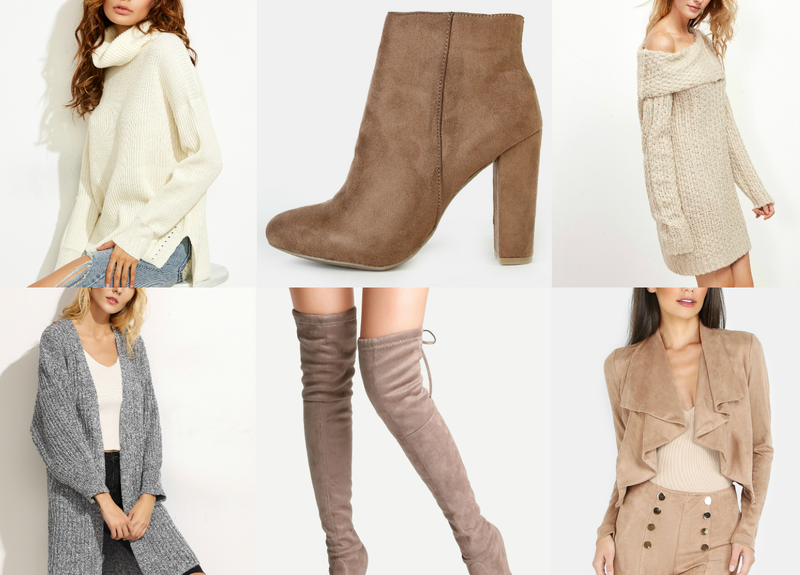 One of the best aspects of fall fashion is that it gives you the opportunity to really be fun and creative with your outfits, so go ahead and layer, drape and bundle to your heart's desire. Whatever you want, really! So, it kind of takes LA a while to get the whole "fall weather" memo. These past few weeks in particular have made it painful to even think about bundling up in fall clothing, with temperatures soaring up to the 100's and my sanity basically dependent on the two little fans in my apartment and my car's AC. Thankfully, the weather has finally started to cool down just a little bit (and by a little I mean a little - it's still mostly in the 80s lol) and light layering has now become more of a possibility. I'm glad to see that slip dresses are still very much in style because I don't see mine going away anytime soon. And while I could still easily wear them on their own with LA's current toasty weather, I figured it would be fun to style them up for fall anyway and be prepared for when I actually do find myself in chillier temperatures. This silky slip dress from Cotton Candy LA (dupes linked above) and this beige trench coat from SheIn came together to create a look that's got some of that quintessential fall layering action going on but also isn't too heavy. They're both pretty lightweight, and I especially love how breezy the trench coat is. It drapes over whatever you're wearing with no hassle and it cinches sturdily at the waist for when you want to be a bit more bundled up. I got mine in XS just because I didn't want to be completely drowned out by the coat, but if you want a bit of a looser, cozier fit then I would recommend going up a size as it's a bit fitted in the sleeves. I adore the just-rolled-out-of-bed feel that this outfit possesses. It's effortlessly luxurious and is totally giving me a ~glamorous movie star making coffee in the morning~ kinda vibe. You know, always a good look to go for. The coat and slip dress combo is one that I will definitely continue to rock in the coming months and I'm excited to show you guys all of the different varieties that I'm able to come up with! Stay tuned.